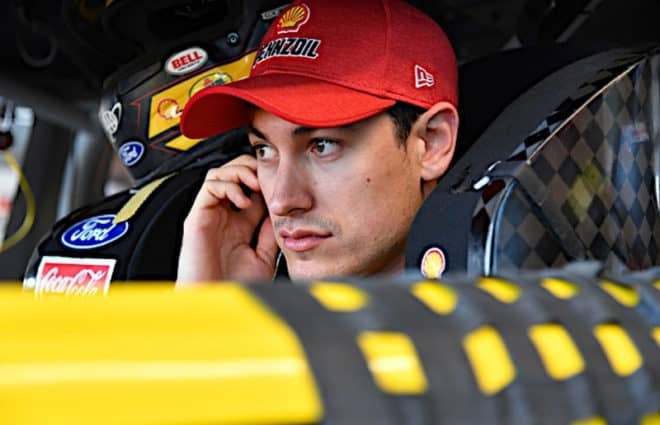 Reigning Monster Energy NASCAR Cup Series champion Joey Logano will roll off first for the STP 500. Logano won the pole with a lap of 19.356 seconds for the fastest lap of 97.830 mph. For Logano, it is his first pole of the season, fifth career pole at Martinsville Speedway, and his 21st career Cup Series pole. The last time the Monster Energy Cup Series visited Martinsville Speedway, Joey Logano won the race clinching his Championship 4 berth. Starting second alongside Logano on the front row is Aric Almirola, who laid down a time of 19.393 seconds, missing the pole by 0.037 seconds. Ford swept the top four starting spots as Brad Keselowski and Kevin Harvick will roll off third and fourth, respectively. Denny Hamlin, who typically is a contender for the win at Martinsville Speedway, will start in fifth. He was the fastest Toyota qualifier with a speed of 97.362 mph. After William Byron hit the wall in the first practice session, Hendrick Motorsports repaired his No. 24 Chevrolet. Byron rewarded them in qualifying when he qualified in sixth. Kyle Busch won the TruNorth Global 250 earlier today (Saturday, March 23). 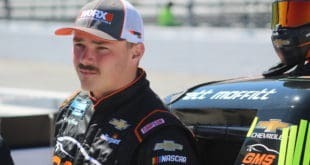 He left Victory Lane and transitioned from racing in the Truck Series to Cup Series qualifying. Yet, he did not dominate Cup Series qualifying, as he failed to advance to the final round of qualifying. Busch will start the STP 500 in 14th. While he didn’t win the pole, Ryan Blaney wowed the fans when he saved his car from possible damage when he exited Turn 4. Because the save forced him to use his tires, Blaney wheeled his No. 12 Team Penske Ford into the 18th starting spot. 36 drivers are entered for the STP 500, so nobody failed to qualify. Corey LaJoie and Cody Ware did not make a lap during qualifying, so they will start on the last row. Mark joined Frontstretch at the beginning of the 2019 NASCAR season. He is a proud University of Dayton alum who also writes about NASCAR for Beyond the Flag. He also writes about TV shows & movies for Hidden Remote. When he's not writing, he's cheering on his beloved Cubbies, watching college football, & rooting for his Dayton Flyers. There should be a rule that if a car doesn’t complete a qualifying lap it doesn’t get to “race” during the event, like everywhere else. All these two “racers” do is get in the way, especially at the paper clip. I agree with you but do you really think NASCAR is going to further shorten the field on an already short field. The day there are 41 cars showing up to qualify, MAYBE, they would consider such a rule.